Vermont has a rich history. When America was only 13 colonies, Vermont was the frontier. While there were some small French outposts, the settlement of Vermont only really began after the French and Indian War in 1763 and the resulting Treaty of Paris, which put Vermont firmly under British control. Two colonies, New Hampshire and New York, had competing claims to the land of Vermont. New Hampshire was the first to sell land grants, many in the western part of the territory bordering New York. A few years later, New York began to sell the same land either to the settlers (demanding that they effectively pay twice) or to land speculators in New York. The efforts of New York to evict settlers from their land resulted in the formation of the Green Mountain Boys, who effectively waged war on any New York sheriffs brave or foolish enough to enter the territory. As New York, New Hampshire and the Continental Congress couldn’t settle this dispute, Vermont declared itself an independent republic in 1777. The Republic of Vermont supported the colonies in the Revolutionary War and the Green Mountain Boys distinguished themselves on the battlefield. After the Revolutionary War, and only after some cunning Vermonters threatened to join Quebec, Vermont became the 14th state in 1791 and New York’s land claims were dismissed. The United States is a federal republic where the power to govern is shared by states and the central government. Other federal republics include Canada, Mexico, Germany, Switzerland, and Australia, to name but a few. In the US, the division of power between states and the central government has been a central political issue throughout its history right up to the present day. The US started out as 13 independent colonies/states and the fight to form a strong central government was fierce, pitting the likes of James Madison and Alexander Hamilton (Federalists) against Thomas Jefferson and Samuel Adams (Anti-Federalists). The US Constitution, enacted in 1789, provided a framework for the division of power between states and the federal government. 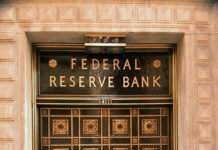 There were 27 “Expressed Powers” granted to the federal government, including the power to tax, declare war and regulate both interstate and foreign commerce. 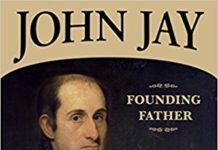 There was also the “necessary and proper” clause, which empowers the federal government to enact any law necessary and proper for the execution of the Expressed Powers. Any powers not explicitly granted to the federal government under the Constitution are the “Reserved Powers” of the states. Subsequent amendments to the Constitution, multiple Supreme Court cases, and the Civil War have had the cumulative effect of strengthening the powers of the federal government, but the debate goes on. Today, of course, there are 50 states, 50 state governors, 99 state legislative chambers (Nebraska only has a single legislative chamber), 50 sets of state law and 50 state judicial systems. Some states have income taxes and some don’t. You can smoke pot in a few states but not the others. Development is easy in some and quite difficult in others. Abortion is readily available in some states and not so readily available in others. Prostitution is legal in one state and illegal in all the others. States in the US have real governing power and the laws and regulations across the 50 states can and do differ widely. All fifty states in the US have state constitutions. The Vermont Constitution was formally adopted in 1793, but it is largely based on the Republic of Vermont constitution drafted in 1777 (language in the 1777 version condemning New York and King George was removed). So, the Vermont constitution effectively pre-dated the US Constitution and the Bill of Rights by ten and thirteen years, respectively. It is a short (8,295 words), eloquent and far reaching document that was way ahead of its time. The Vermont constitution abolished slavery and provided for freedom of religion, equal protection under the law, the right to counsel and a jury trial, the right to own property, freedom of speech and the press, the right to assemble and the right to bear arms. Militias were to be strictly subordinate to civil power and be disbanded in times of peace, as “standing armies in times of peace are dangerous to liberty.” The constitution also provided for universal suffrage for men, whether property owning or not (women finally got to vote in 1920). In addition to assuring the rights of individual citizens, the Vermont constitution also set out the framework for the state government based on the concept of separation of powers. There are three separate and distinct government branches: the Executive, the bicameral General Assembly, consisting of a Senate of 30 elected members and a House of Representatives with 150 elected members (the original constitution had only a single house and the Senate was added by amendment), and the Judiciary. 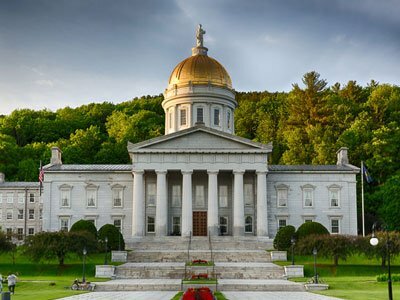 The Vermont Constitution gives the people the right to change the government, but this has not yet happened and the original framework remains in place today. The Vermont Constitution stipulates that the Executive branch of government, together with the Legislature, shall govern the state. It also provides for six elected Executive branch officials: the Governor, Lieutenant Governor, Treasurer, Secretary of State, Attorney General and Auditor of Accounts. Clearly, the framers of the Vermont Constitution had little regard for political parties, as Vermont has a long history of electing these officials from different parties. In the 2016 election, Phil Scott, a Republican, won the Governor’s office and Democrats/Progressives won the five other positions. Each of these officials serves two-year terms with no term limits, so Vermont politicians need to justify their continued employment frequently. Interesting, I didn’t realize Vermont’s Constitution was prior to U.S. Constitution. Also evokes curiosity concerning the Green Mountain Boys. I know it is not the aim of the website, yet …… I read a story that 2 young men from Thetford ?? swam across the Lake at night between British ships while holding their guns over their heads. Off the track yet shows the determination and endurance that is Vermont’s foundation. I also found it interesting that the state Constitution preceded the US Constitution. 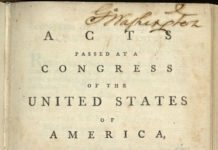 I’m left wondering who was responsible for the VT Constitution and what if any were the contributions of the VT Constitution to the later US Constitution? Dr. Jonas Fay (1736-1818) is widely attributed as the primary author of the constitution of the Republic of Vermont. He played an active role in the formation of Vermont, including participation in the Green Mountain Boys (he was the physician for the group that captured Fort Ticonderoga). Once Vermont became a state, he served as a Justice on the Vermont Supreme Court. He is buried in Bennington.